To further enhance the goodwill of this program, a framework named as UNINET Strategic Action Plan (USAP) is implemented to demonstrate readiness at playing a strategic role in leveraging social and economic development in the subregion and in particular to projecting leadership at protruding innovativeness and knowledge-based ideas to IMT-GT stakeholders. Presently, the UNINET programme stands-out remarkably with the pledge of 23 public universities recently affirmed at the Syiah Kuala University, Banda Aceh, Indonesia on 23rd May 2017. The event were attended and charter was signed by the Vice Chancellors/Rectors of the 3 countries hence proving an immense shift of the current education system to a brand new education paradigm based on virtues and unique networks ties between these universities. To further spearhead discussions, Indonesia have successfully hosted the University Network (UNINET) Coordination Meeting on 25 September 2017 at Bangka Belitung provinces, Indonesia. 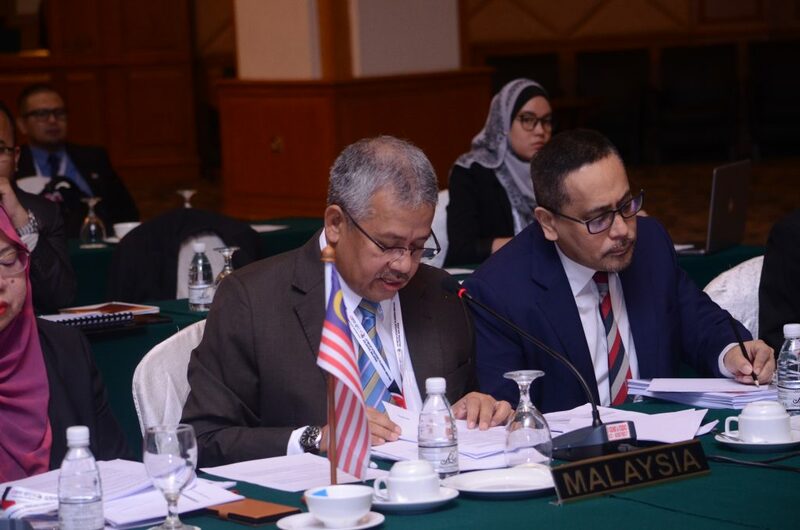 The main objective of the Meeting is to discuss and finalise UNINET report for the 25th IMT-GT Senior Officials’ Meeting and 14th IMT-GT Chief Minister and Governors’ Forum. This meeting also deliberated on its immediate plan for the balance of the year. 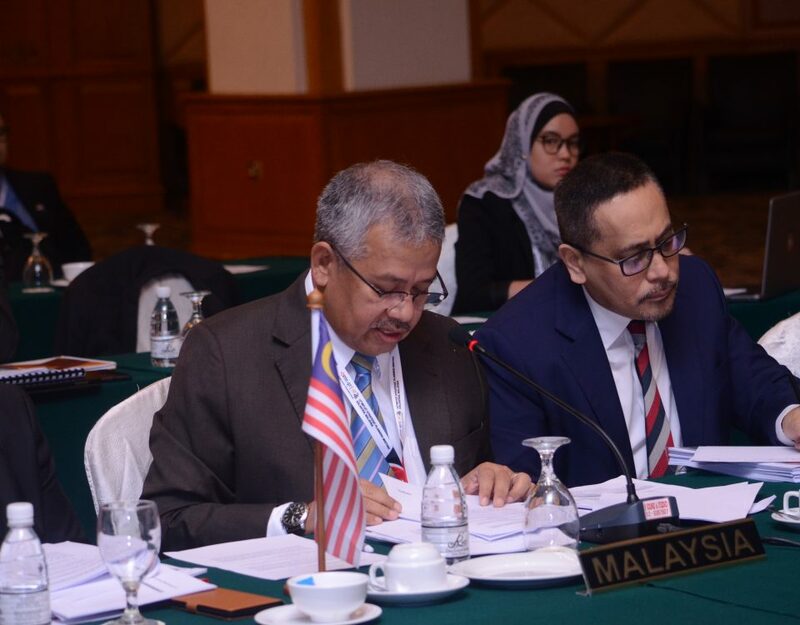 Crucially, the Ministers believe that UNINET can show leadership in promoting people-to-people connectivity in the subregion that will work towards building a knowledge-based community with lifelong learning opportunities and cultural exchange. This is a key strategy that will go a long way to ensure that growth is inclusive. a)	Each Universities agreed to sponsor scholarship for 2 Masters Programme given to partner Universities among UNINET members to increase opportunity to study abroad. b)	IMT-GT seeks to requiring relevant information from Varsity Carnival Committee Members to be incorporated in the IMT-GT UNINET Report to be reported to the Senior Officials. 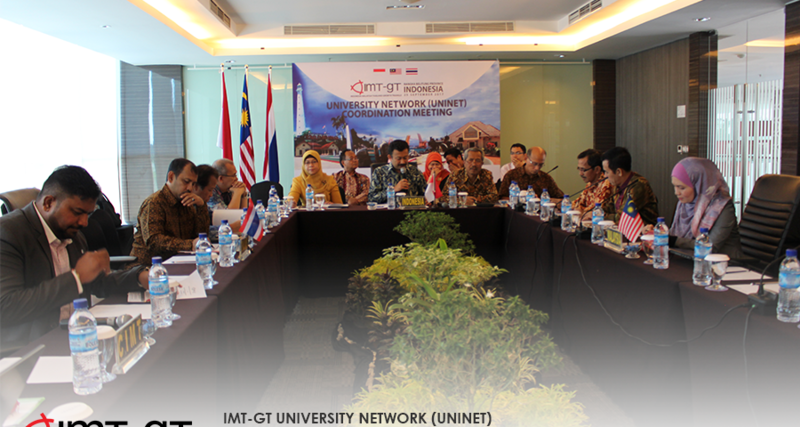 c)	With regards to Green Cities Initiatives (GCI) to be applied as a programme under the IMT-GT University Network. Universities will undertake GCI programme as a practice in their respective Universities. d)	The members of the Meeting also deliberated on to creating inventories of Universities Template Profile. This will serve as a database to retrieving information of UNINET members. e)	Indonesia proposed two projects to take off as a pioneer as outlined in the strategic plan and they are namely; disaster risk reduction and sustainable agroindustry development. The meeting concluded by signing the Letter of Intent between University of Kebangsaan Malaysia (UKM) and Bangka Belitung Province.